Recognizing the importance of having a properly organized and well-coordinated program of activities for migrants on the occasion of the celebration of International Migrants’ Day, the Philippine Migrants Rights Watch (PMRW) and the Commission on Filipinos Overseas (CFO), staged last December 18 an important forum to determine what transpired in the recently concluded Second Global Forum on Migration and Development (GFMD) which was held in Manila last October 27 – 30. The forum carried the theme, “Together, to make migration a choice.” The forum, which was held at the auditorium of the National Commission on Culture and the Arts (NCCA), gathered officials from government and civil society groups who have been actively involved in the second GFMD. Among those invited were representatives from theAyala Foundation, Inc., the Office of the Undersecretary for Migrant Workers Affairs (OUMWA), the Department of Labor and Employment (DOLE) and from the Association for Professionalism in Overseas Employment, Inc., which represent the manpower agencies. NCCA Executive Director Ms. Cecile Guidote-Alvarez warmly greeted everyone present in the forum. Rhe gave a touching and passionate account of her own experience as a migrant in United States. Her welcome remarks even ended up with a fittingly poignant song of a former Filipino overseas, which she also dedicated to the forum participants. After Ms. Guidote’s welcome remarks, the women members of DAWN performed an excerpt of their musical play “Misty.” The lively presentation depicted the stories and experiences of women who went to Japan to work as entertainers and ended up with their rights violated. 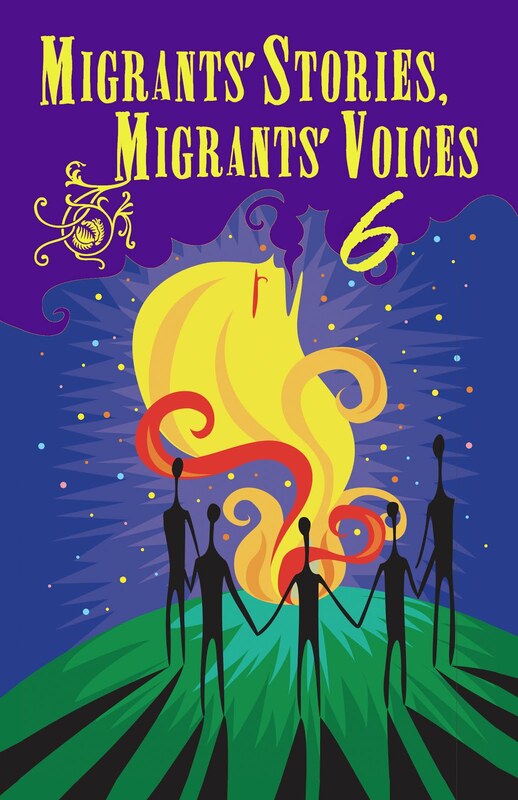 The forum that was held in the afternoon was preceded by the launching in the morning of the two books, namely the “Migrants’ Stories, Migrants’ Voices 2,” and “World Migration Report2008”. The Migrants’ Stories, Migrants’ Voices 2 as its title clearly indicates, is a compilation of over a dozen true to-life narrations written personally by the overseas Filipino workers or their “left-behind” family members. Some of the authors contributors of the said book graced the launching by presenting personally a free copy of the book to all participants. The book is the second publication of the same title that PMRW edited in 2007. Its publication was made possible with the full support of Cordaid, an international development organization based in the Netherlands. The “World Migration Report 2008” on the other hand was published by the International Organization for Migration (IOM) with no less than Mr. Charles Harns, the IOM-Philippine Regional Representative giving a free copy of the book to its selected government and NGO-partners. An open forum animated by Atty. Golda Roma of the CFO followed the book launch to give chance in clarifying the issues surrounding Filipino migratory realities as presented in the two books that were launched. The very lively discussion on migration issues elicited continuous reactions and debate, but it had to be cut short due to time constraints. Soon after the book launch, the 18 December Awards was announced by the PMRW. Dr. Maruja Asis, Director for Research and Publications of the Scalabrini Migration Center (RMC), read out the details of the 18 December Awards. It refers to the Search for an Outstanding Filipino or Filipino organization that affords exceptional assistance to the rights and welfare of overseas Filipinos and their families. In the afternoon, the presentation on the GFMD report from the civil society group was delivered by Mr. Mario Deriquito, the Director for social development of the Ayala Foundation, Inc. The report from government was presented by Atty. Crescente Relacion of the Office of the Migrant Workers Affairs (OUMWA) and Atty. Merliza Makinano of the Institute for Labor Studies (ILAR) of the DOLE. The reports were followed by speeches delivered by Ms. Grace Princesa and Mr. Evan Garcia, both from the Department of Foreign Affairs (DFA). Ms. Ellene Sana, the Executive Director of the Center for Migrant Advocacy (CMA) delivered a well applauded reaction to the reports. Unfortunately, some of the invited reactors failed to arrive due to unexpected circumstances because of the holiday rush. At the end of a lively exchange of opinions between the panel of reporters from the government and the audience from the various overseas workers, non-government agencies, academe and students, Fr. Edwin Corros, the Executive Secretary of the Episcopal Commission for the Pastoral Care of Migrants and Itinerant People (ECMI) of the Catholic Bishops’ Conference of the Philippines (CBCP) representing the PMRW, challenged the government agencies present to act on the following suggestions: 1) for the Philippine government to produce an official centralized data bank within a year or two since it has engaged officially into labor export for almost forty years; 2) that the National Reintegration Center Office (NRCO) comes up with its own programs and tangible services and not just simply to traffic or direct the migrant returnees to the existing programs created by NGOs and private companies; 3) that the various proposals submitted by the civil society groups to the government at the second GFMD would synergize as they put forward the real interests of the migrants, specifically their rights’ protection and welfare; and, 4) the Philippine government should take seriously the suggestions of the Consultative Council for Overseas Filipinos Workers (CCOFW) to push forward the agenda of migrant workers. Other than the forum on December 18 that commemorates the International Migrants’ Day, the Inter-Agency Committee likewise supported the other activities organized by various individual NGOs, corporate organizations and government agencies. Among those reported in its calendar of activities were the annual Model OFW Family of the Year Award (MOFYA) organized by the Overseas Workers Welfare Administration (OWWA) at Mall of Asia in Pasay City held on November 14 and a Cine-forum conducted by the CFO-Task force Against Human Trafficking in various parts of the country from November 15 to December 11. At the end of the forum, the PMRW and the CFO thanked everyone who had contributed to the success of the forum. Among them are the members of the inter-agency committee composed mainly of NGOs and the nine government agencies who are directly involved with migration. Cognizant of the important and crucial role of media in public advocacy and information dissemination, the PMRW organized a morning tete-a-tete with selected members of the media last September 2, 2008 at the Scalabrini Migration Center, PMRW’s Secretariat office. It was also PMRW’s way of formally introducing the network and its member organizations to the media. Friends from online, television, radio and print media graced the occasion. PMRW president Mel Nuqui warmly started the program with a brief round of introductions of the participants from the PMRW and the media. She then invited everyone to go over the documents that were distributed for the occasion which contained the current policy concerns of PMRW vis-a-vis government, namely: the situation of distressed migrants, mainly women migrants, in Jordan and the response of the Philippine embassy to the situation; the proposed mandatory psychiatric testing for prospective household service workers; the proposal to put up an OFW Hospital; and, the proposal to further liberalize the labor migration industry. PMRW members took turns in elaborating briefly the issues at hand. Resolutions of the Consultative Council on Overseas Filipino Workers (CCOFW) on these issues were also presented to manifest that PMRW’s concerns and critical stance on the issues are shared by other NGOs. The meeting concluded with a renewed commitment to share information on a more regular basis, with PMRW vowing to become more pro-active in reaching out to the media to update them on pressing advocacy issues.